Seeing the young receiver pass him in catches and receiving yards nearly certainly factored into Brown's angst. Then on Sunday, Brown - seemingly out of nowhere - took aim at Smith-Schuster once more after someone reminded Brown that Smith-Schuster was voted Steelers MVP last season. Twitter rushed to Smith-Schuster's defense, pointing out that Brown didn't play in all 16 games a year ago and has a higher fumble to catch ratio in his career than Smith-Schuster. Smith-Schuster didn't appear to go on the offensive during Sunday's social media spar. 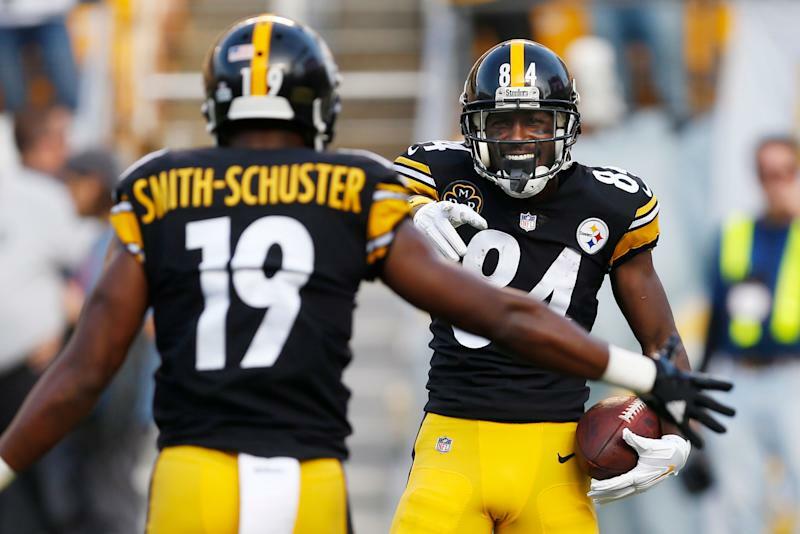 Smith-Schuster had previously defended Ben Roethlisberger, with whom Brown clearly has beef. He added that he'd always shown Brown "love and respect" and accused the perennial Pro Bowler of having a big ego. Now, former teammates who were over the maelstrom months ago are left wondering if Brown can get any more petty than posting screenshots of an impressionable Smith-Schuster sending a direct message to Brown in 2015, asking for help. Plus, the content of the message only paints Smith-Schuster in a kind light. "Onlookers may not be able to tell the difference". The loss was a massive blow to the Steelers' playoff hopes. After Smith-Schuster responded kindly on Twitter, seeming to take the high road, Brown wasn't done. "They will do and say anything to make sure they going to get paid even if it's compromising integrity or anything!" It's not like Brown revealed anything we didn't know about Smith-Schuster. As a result, Brown has fallen under harsh criticism from media and fans alike, and it doesn't seem like he is taking it too well. If the latter is in fact done with Brown, it might not be long before Steelers fans tweet at him, if only to ask, "What took you so long?"